Syed Abdul Malik has been highly influenced by the techniques of Anton Chekhov and Guy de Maupassant. He uses a great variety of characters and brings them together neatly. He has been inspired by the techniques of Chekhov. His other collections include Parasmani, Ajani natun suwali, Rangagara and Moraha papari. Beginning his literary career in the early forties he enriched Assamese literature with short stories, novels, poetry and other writings spanning over five decades. In terms of statistics of fictional work, Syed Abdul Malik was unrivalled. No other writer has contributed so extensively towards the growth of Assamese literature as he did. His stories can be classified into two categories: romantic stories and socially conscious stories. The most remarkable thing about Abdul Malik's short stories is the large variety of experiences that goes into his works. In terms of depth, expanse and variety of experience his stories have few parallels. The backdrops of Malik's stories are as varied as their themes. He has, so to speak, scanned society, looked into it in minute details, picked up its many facets and projected them through his stories. Malik is credited for the uniquely wide range of themes of his stories. His stories are rich technically. He is a keen story-teller and an inspiring creator of character. His plots have a suspense motif. Pran haruar pisat is a successful story. Barakharar barasun depicts economic distress conflicting with self-respect. Whenever Malik writes of social discord or economic distress it is done with impassioned fervour. In Bibhatsa bedana lies a socially conscious though it was a controversial one due to its sexual overtones. Malik is the first author who introduced the "Chekhovian atmosphere" type stories into Assamese language. In one of his most remarkable short stories Anneswan (Search) Syed Abdul Malik deals with the character of a prostitute in his inimitable way. He looks at her not as a degraded untouchable, but as 'basically a human being.' Dookhan Bhari (Two Legs) is a unique story where two opposite mental reactions came to play -- one of emotional attraction of the hero to a young girl at the sight of her two beautiful feet, and the other is of his repulsion for the same girl generated by a deep sense of patriotism when he knew that the girl's father had kicked a volunteer during the freedom struggle. Abdul Malik has left behind an exceedingly huge collection of works which includes 60 novels, 11 plays, five collections of poems, five books for children, three travelogues and 1000 short stories. Some of his most popular novels are Adharxila (Foundation Stone); Doctor Arunabhor Asampurna Jivani (Dr Arunabh's Unfinished Biography); Kavitar Naam Labha (Lava is the Name of the Poem), Aghari Atmar Kahini (Tale of Nomadic Souls), Pran Samudra (Ocean of Life), Trisul (Trident), Dukhan Nadi aru Ekhon Marubhumi (Two Rivers and a Desert), Rup Tirhar Yatri (1963-65), based on the live of Rupkonwar Jyoti Prasad Agarwalla, and Dhanya Nara Tanu Bhaal, based on the life and times of the great Vaishnavite saint Sankaradeva. Some of Abdul Malik's short story collections are Sikhare Sikhare, Ranga Gorah, Parashmani, Ejani Natun Sowali, Maraha Papori etc. Asamiya Zikir Aru Jari is a monumental research work of Abdul Malik based on the life of the renowned Muslim saint Ajan Fakir who came to Assam in the 17th century. 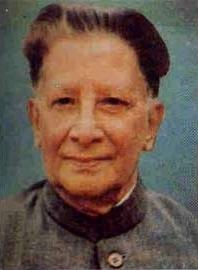 Abdul Malik rendered his services as professor of the Assamese language and literature for 40 years. Abdul Malik was also associated with many literary societies. He was one of the prominent members of Asom Sahitya Sabha, the oldest and most prominent literary society in North-east India, established in 1917. He was the President of the Sahitya Sabha in 1977 held in Abhayapuri. Abdul Malik was also Member of the Rajya Sabha for one term (in 1983). Abdul Malik was conferred with the Padma Shri (1984) and Padma Bhushan (1992), and the prestigious state award Srimanta Sankaradeva Award (1999). He was awarded Sahitya Akademi Award for his novel, "Aghari Atmar Kahini". He passed away on December 20, 2000 at the age of 81. He is the foremost among the fiction writers of the pre as well as post World War period who have successfully depicted the problems of man and the society… (his) creative genius not only enriched Assamese fiction literature but also made it colourful and vivid. Syed Abdul Malik's advent in Assam's literary horizon marked a new chapter. Writing continuously till his death, he not only brought about a new wave but also became the symbol of continuity – a bridge between the pre and post war literature.